An intense climbing vacation to a sunny place is a great way to progress in rock climbing while getting away on an active holiday. Our rock climbing course holidays are tailor made trips with 5 days of private coaching at world class climbing destinations. 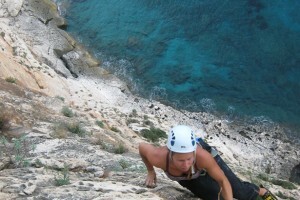 Your qualified climbing instructor and guide will show you the best crags in the areas. 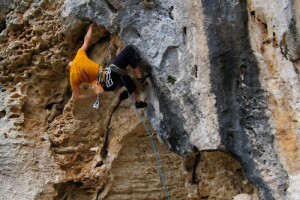 He/she is specialized in coaching rock climbing as well as rope work, safety and rescue systems. 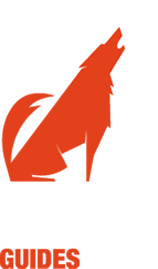 We are passionate climbers and high-level athletes with extensive experience of all types of rock climbing, from sport climbing to big walls. – Climb multi-pitch routes, building anchors, rappelling etc. Each destination below is handpicked for the suitability to learn specific rock climbing techniques (trad climbing, sport and multi-pitch, from initiation to perfection, familiar or more adventurous environment…). At all these destinations, rock climbing is combined with good food, comfortable accommodation, and rest days on the beach or other outdoor activities like mountain biking and water sports. Private groups can have mixed levels depending on the theme of the course. A high concentration of amazing quality routes on different styles of limestone, makes it perfect for improving your rock climbing. 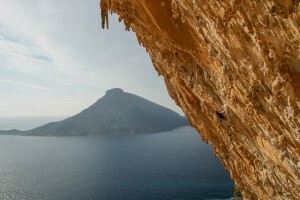 The best sport climbing destination in Europe in our opinion. Finale Ligure is a part of climbing history from the birth of sport climbing till today. Exceptional limestone of all types and a great holiday destination. Visit the mediterranean islands for a sunny beach holiday combined with rock climbing, excellent cuisine, and a unique cultural experience. Meteora is a place full of history, both climbing and cultural wise, the landscape is stunning and the food is excellent. Climbing on the conglomerate towers is adventurous and a truly unique experience. See also Rock climbing Schools in Chamonix for shorter courses (from 1/2 day), optimal for complete beginners and during July/Aug! We also offer alpine rock climbing in Chamonix; climbs on the impressive granite spires of the Mt Blanc massif and in the Aiguille Rouges, as well as multi-pitch climbs on the incredible limestone of the Aravis. 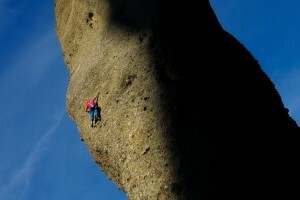 More info and inspiration to rock climbing trips, courses and holidays at Rock Climbing blog category.